The official time on the pitch at North American Soccer League matches throughout the 2014 season will be kept by Seiko when the new campaign kicks off this weekend. The North American Soccer League and Seiko have entered into a partnership that will see the internationally acclaimed brand featured at each of the 10 NASL club’s venues throughout the season. Seiko branding will be prominent on the fourth official’s substitution and timing boards, on goal line advertising boards, on the broadcast game clock and within the league’s official website NASL.com. A Seiko branded game clock will be featured within NASL broadcasts, which can be watched by subscribing to either a 30-day pass or a season access pass at www.NASLLive.com, where soccer fans can access all 135 matches during the 2014 NASL Spring and Fall Seasons. Since the Tokyo Olympic Games in 1964, Seiko has proudly assisted international sport with world-leading timing technologies and services. Today, Seiko supports a wide range of sports, from track and field athletics (IAAF) to tennis (Novak Djokovic) and sailing (The 49er and 29erXX Associations). Whatever the sport, Seiko's tradition of excellence in sports service continues. Soccer fans around the world will be able to ‘Watch Every Match Live’ throughout the 2014 North American Soccer League season, which kicks off on the weekend of April 12/13 in Fort Lauderdale, Indianapolis, New York, San Antonio and Tampa Bay. 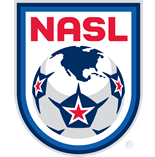 By subscribing to either a 30-day pass or a season access pass at www.NASLLive.com, soccer fans can access all 135 matches during the 2014 NASL Spring and Fall Seasons. Throughout the month of April, the NASL is offering a 10-day free trial to enjoy the weekly broadcasts as the league’s 10 teams battle to reach the postseason and compete in The Championship for the coveted Soccer Bowl trophy.